It is a surface finishing process. 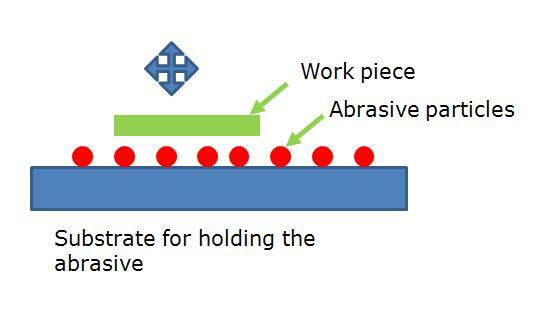 The basics of lapping process is moving the work piece surface (to be finished) very slowly against some sort of abrasives. The abrasives can be either loosely spread over a hard substrate or rigidly glued over the substrate surface. Also, the process of lapping can be either performed manually or by using a machine. Ideal applications: Ideal for making surface specimens for metallurgical testing.